Settled on Nun's Island in Montreal, our greedy shop proposes you different services to regale your buds. Modern and creative pastries made on site with quality ingredients. We also offer you different spaces, including a terrace to drink coffee, eat a pastrie, to have lunch and also to organize 5@7 by yourself or animated by Bruno Meril, "Meilleur Ouvrier de France Sommelier " . 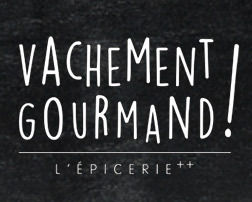 Have a Vachement Gourmand detour !